As Tesla cranks up lithium-ion battery production at its massive Gigafactory in Nevada, a small Southern California startup loaded with former SpaceX and Tesla engineers has begun making rival packs. The stealthy company says they’re lighter, more energy dense and will last longer than those at the heart of Elon Musk’s sleek electric cars. Romeo Power, nestled in a gritty industrial corner of Los Angeles, quietly started shipping energy storage devices a few months ago – and like Tesla hasn’t completed its first dedicated factory. Yet the company says it just raised $30 million in a seed round (on top of an initial $5 million of funding) and has already booked $65 million of orders to be delivered in 2018 to clients making everything from electric cars and forklifts to golf carts and robots. Michael Patterson, the tech entrepreneur who founded the company in 2015, told Forbes that in addition to makers of industrial products, potential customers for Romeo's batteries includes U.S. and European automakers that he declined to identify. Although it uses the same types of small cylindrical lithium-ion cells that go into Teslas, Romeo says it has a completely different approach to packaging that results in lighter, more robust battery packs that also recharge faster and are easier to build. Porter Harris, Romeo’s chief technology officer, said the company achieves lighter weight and better recharge time owing to software it’s designed to more precisely gauge the performance and status of each individual cell in its packs. By maintaining more consistent and uniform temperature control, it’s "tighter and lighter": packing individual cells closer together without the need for the liquid cooling system used by Tesla. The pack is also designed for easy production, and potentially can be built up to four times faster than Tesla's, Harris said. 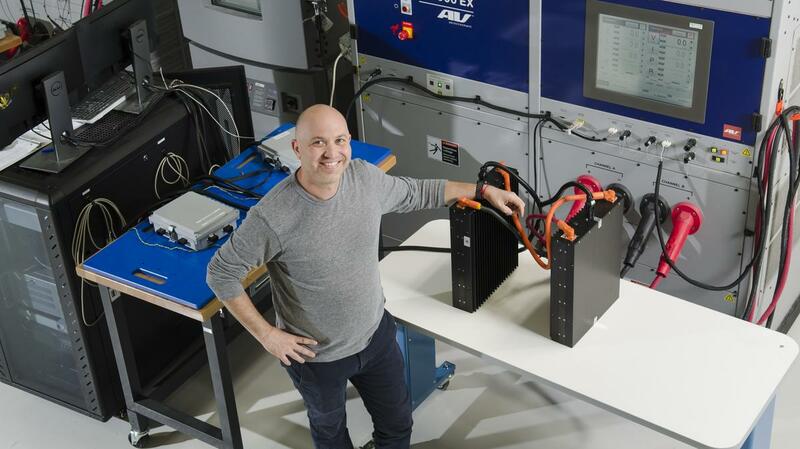 Relative to the company that’s become the benchmark for advanced batteries, “we're able to decrease our cell-to-cell spacing and really optimize for performance,” said Harris, who was previously an engineer at SpaceX and startup electric vehicle maker Faraday Future. As a result, Romeo thinks it can deliver packs with up to double the range of current competing systems from other battery suppliers. “If you look at the BMW i3 with 114-mile range, we're over 220-mile range with our technology in the vehicle on an equal-weight basis,” Porter said, citing test versions the company has built. Production chief Mark Schwager came from Tesla and Chief Operations Officer Erik Fleming worked at both Tesla and SpaceX. The company also has traditional auto industry guidance in the form of Steve Girsky, previously a Vice Chairman for General Motors and long-time industry analyst, who serves on Romeo’s board. Of Romeo's 120 engineers, including those from Tesla and SpaceX as well as Samsung, Apple and Amazon, most have an average of 10 years experience working on advanced batteries, Patterson said. At the outset, the company’s goal was to leverage that experience and take a clean-sheet approach to battery design. “Everyone has come here and unloaded all their best ideas, everything about battery packs they've thought about, to come up with something new,” Patterson said. After it completes installation of all production and testing equipment in December, the Vernon factory will be able to produce 16 gigawatt hours of its packs a year, enough to supply more than 10,000 electric vehicles and other devices. Unlike Tesla, Romeo isn't making its own lithium-ion cells, but instead gets them from LG, Samsung, Panasonic, Sony and other top suppliers. They flow in from the nearby Ports of Los Angeles and Long Beach and Romeo packages them up into power storage devices using proprietary techniques, materials and design. Ultimately, Patterson doesn’t see Tesla as direct competition since, unlike Romeo, its goal isn’t to supply a vast and varied customer base. And as the carmaker grows, it also helps promote overall demand for advanced batteries, Patterson said. EV battery packs, designed to outperform within load, environmental, size & weight limitations to provide the power, safety, and durability you need. 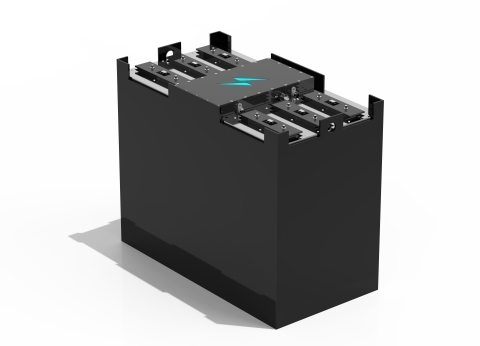 https://www.crunchbase.com/organization/romeo-powerRomeo Power is an energy design and manufacturing powerhouse that created the most energy dense battery packs in the world.